These top performing UL fire rated panic devices are made for high traffic areas such as hospitals, schools and other public use buildings. An ideal companion product for ADA compliant installations. 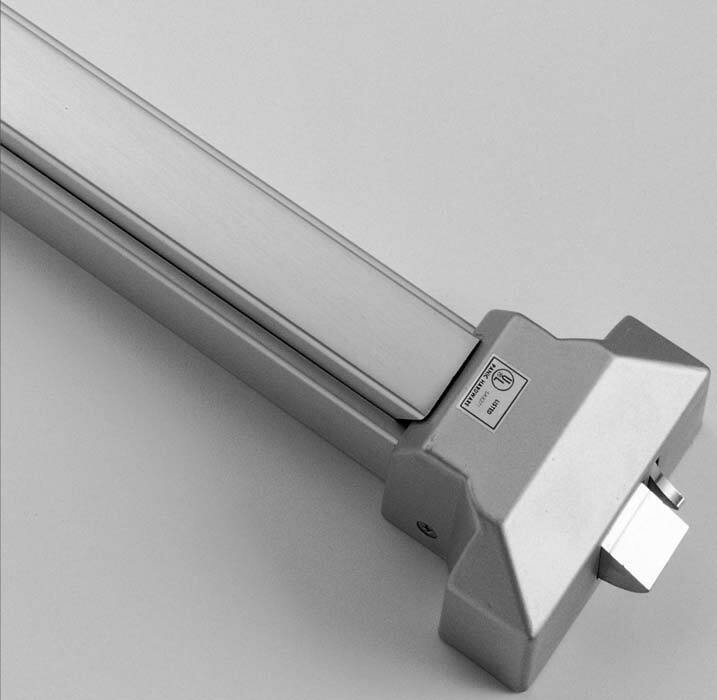 Horizontal reversible, rim type touch bar exit devices can be used with a cylinder, keyed ball knob, keyed lever or a pull, and are available in dull chrome plate and brass. The devices are UL listed and fire rated (1 1/2 hour).